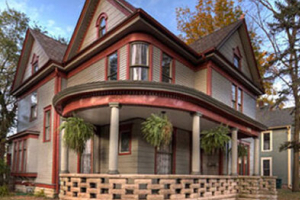 During the late 1800s and early 1900s porches became a popular feature on homes. 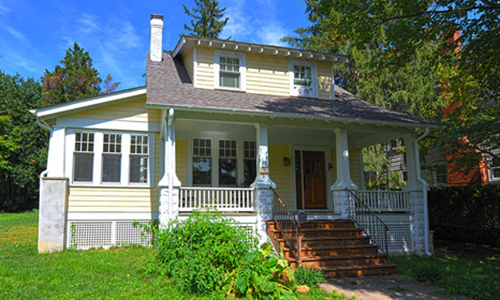 Why the sudden movement to houses with porches? It was simple…people had more time to relax. Technological advances resulted in people no longer having to work all day long for their very survival. The porch offered a place outside in the fresh air but still protected from the sun and rain. It essentially became another room of the house. In view of the street, it was a place for people to relax and visit with neighbors. It was a place for people to see and be seen, and became an important gathering place. With arrival of mass produced building materials, porches were also a cheap, easy way to add ornamentation to a home. In addition to lumber, rock face concrete block was an affordable building material available at the time. As an alternative to both wood and stone it added a decorative but simpler design than the Victorian gingerbread trim. 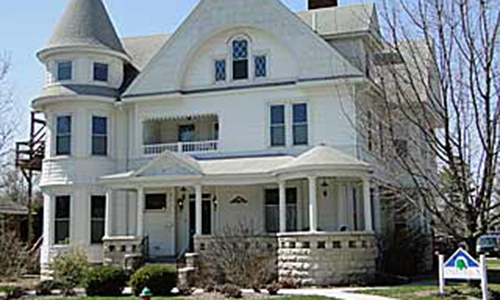 During this time period Victorian style architecture made way for simpler architectural styles. 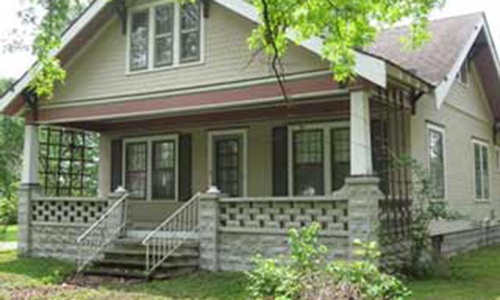 You can find rock face block used on late era Victorian homes, Colonial Revivals, bungalows, and foursquare style homes. This block was also used to add porches and additions to older style homes.